Today on The Balanced Educator Podcast, we’re interviewing Nicola Harvey, author of Mindful Little Yogis. Nicola is an experienced and qualified Special Needs Educator, Therapist, and Children’s Yoga and Mindfulness Practitioner. She has written articles for SEN Magazine, Twinkl Education Publishing, and Ambitious About Autism. Nicola talks about how mindfulness leads to self-regulation and what we can do as educators to help this process along for our kiddos. She shares the S.T.A.R. model, a development tool for children, and how she applies it in her special education setting. Nicola shares how we can teach our students about managing their emotions and to develop their emotional regulation using the “Flipping your lid” hand model created by Dr Dan Siegel and Dr Tina Payne Bryson. 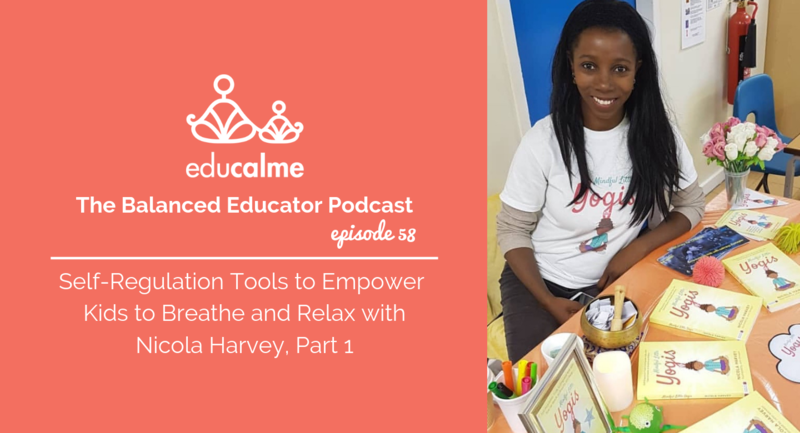 She talks about the importance of making mindfulness fun, modelling the practice as an adult and she shares practical strategies to use with kiddos.